Remember all things are possible for those who believe." I've been waiting for notification of the grrrand Grand Opening of Sally's Sweet Shoppe in Genessee Depot, WI. Alas it seems that Miss Sally Sunshine is so busy baking, that although she's been open for business since Labor Day, she has not been able to have an official opening. In the spirit of Halloween and enough sugar concoctions to make your head hurt I've decided to go ahead and steer you in the Sally's direction. I realize that most of my readers are nowhere near Wisconsin. But that doesn't mean you can't appreciate a good treat when you see it. And something tells me if you called and placed an order Sally would find a way some of her treats to you. Seems she was looking for work in all the wrong places and needed to look closer to home, as in her own heart. Once she did that, things started happening at a pace that amazed her. She zeroed in on having a bakery, found a place, got all her paperwork in order, got some help turning a storefront into a Sweet Shoppe, turned on her mixer and voila! her dreams of work and play all came together like Granola Trail Mix. I know it doesn't work like that for all out-of-work people. Dare I say even though it's way overused, especially in this economy. But I think the thing I've learned from Sally, besides keep smiling no matter what, is that everything good starts with a heart's desire. From there, with some hard work, determination, and a pinch of sugar, just about anything is possible. 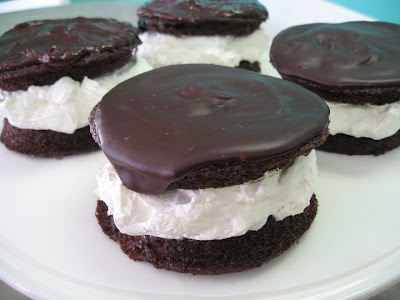 That said, I have not figured out how exactly you are supposed to eat these deliriously delectible divine delights. Talk about hard work! This is not your Grandmother's candied apple! Next time you're in Wisconsin, look Sally up and tell her Merry Me sent you. Who knows it might get you a free cookie! We are closed on Mondays for creative rejuvination! but they'll always be there when you need them." It's hard to believe it's been a whole week since I've posted anything on this blog. I've tried. I've started a few posts and a couple of stories for my writing group, but I either lack the words or get interrupted before I'm finished with even a rough, rough draft. But today, I have to write something. to let my gratitude sit quietly inside my head for one more day would be like being given a piece of chocolate cake layered and frosted with fudge and not sharing even one bite. Today I was blessed by two angels. I didn't recognize them at first when they walked in the door. They had no wings, nor halos or gilded instruments. In fact they looked pretty much like CNA's from hospice. Dressed in bright colored scrubs each flashed a smile that made me feel better than I had in the last 24 hours. I explained the situation and the angels went right to work. First they gave Dad a cheery hello, then maneuvered him into the bathroom, helped him into the shower and scrubbed him from head to toe. I didn't hear one complaint from Dad even though he'd already told me he was afraid of the shower. I admit there are lots of opportunities for a fall, but the angels knew what they were doing and got the job done lickety split. Later after dad was settled in the den, I went back to what has affectionately been named the "crap room" to continue cleaning. To my surprise and great thanksgiving, the angels had already done most of the work. All I had to do was mop the floor, do a few more loads of laundry and spray Lysol into every nook and cranny. As we are about to embark on the fast train to the Christmas season, I've got to think that the angels proclaiming the "Good News" had no more important job than two ladies named Tasha and Deb. May the Divine One bless them as they have blessed me. Now that my eyes have been opened to the work of angels in my midst I see them everywhere. Three blog angels sent emails to check on me. An angel that looks amazingly like my Sweetie held me in his arms while I cried and felt sorry first for Dad then for myself. "What can I do?" he asked in a gentle voice that sounded like it came from heaven. But he'd already done everything I needed, plus make the bed. I received cards in the mail from my dear sister and pen pal angels. Their words always bring me comfort. How is that a special note or phone call happens just when my spirit is lagging? And to Akasa angel: Thank you and please forgive me for not posting yet about the award you presented me. It has not gone unnoticed. Dear God and creator of all - good days and poop days - thank you for the angels you have sent my way. Help me to be always aware of their presence as it is far too easy to get lost in a world of self-pity and despair. Last night as I lay in bed praying for an Imodium-caused reprieve, I wept for the people in Haiti, who have no toilets, wet wipes, clean towels and linens or anti-diarrhea medicine; for the people in Sumatra who have no homes where a toilet should be; for soldiers who use make-shift latrines in countries far from home. Bless, them Mother/Father God with angels to bring them even the simplest of comfort. And God, bless the people who ever conceived of the idea of Lysol spray and wet wipes. I wonder if they know how their inventions have saved the wits of many a distraught caregiver. Thank you God for this opportunity to serve you, by serving my father. May your light shine through me as it has by the holy ones you sent to me. has become the victim of his indifference." Last Friday, while I was toodling along the back roads of rural Florida, other bloggers around the world were taking part in BlogAction Day 2010: Water. My blog buddy Akasa Wolfsong told me about the event because anything to do with or that can bring attention to the plight of the world's water is her passion. I'd never heard of Blog Action Day. According to the website "this is an annual event that unites the world's bloggers in posting about the same issue on the same day. The aim is to raise awareness and trigger a global discussion around an important issue that impacts us all." I guess you could say that water is right up there at the top of the list. Even though I'm a week late I'd still like to add my tribute to water. I was born under the sign of Pisces so in an astrological sense I'm a water baby. This past summer, I found much solace by lying on my back in the pool, eyes looking towards the heaven as I slowly drifted around the pool on the current of the pump - sunshine was my blanket, birdsongs my lullaby. I may be my happiest self when standing in the shower letting the water wash away the day's build up of fatigue, frustration, irritability, and cussedness. I love staying in there til my fingers and toes are all pruney. While on my trip to Cedar Key, I knew it was important for me to spend some quiet, alone time just me and the sea. I took myself to the beach in the twilight hours of the day. The sun was just beginning to set, painting the sky with streaks of pink and orange. It took a much better photographer than me with a much better camera that mine to capture the beauty of it all. Sea birds and butterflies danced on currents of air I couldn't even see. I don't know for sure if the water I sat by was the Gulf of Mexico. If not, it flowed in that direction.The beach was not really a beach. It was more like a shell-strewn mud pit. It was fine for the light-footed birds looking for an evening snack, but one step into the sludge and I almost lost my sandal and my footing. So I gingerly picked my way across to a place where some bigger rocks provided a pew for me to sit on while I attended a private and holy communion with the One that created the oceans and the sky. I prayed a prayer of thanksgiving for my many blessings, for safe travels, for the rescue of the Chilean miners, for the gift of life I sometimes take for granted, for friends far and near who who grace me with their love, support and encouragement, for the man I call husband and friend. I prayed a prayer of forgiveness for those I have hurt and for those who have hurt me. I prayed a prayer of petition for the people who are in distress, sick, dying, hurting, depressed, afraid, and, I admit, for a winning lottery ticket. I prayed a child's prayer of joyful adulation for so much beauty, for birds and butterflies and ice cream cones, for cows and donkeys and curious kitties, for the color purple. I prayed that the earth's water so easily taken for granted will someday soon be as clean and pure as the Creator meant for it to be. I prayed that one day, in the not too distant future, the creatures of this world -earth, land, air and sea -will know peace. I prayed for light to shine in the darkness and love to live in every heart. I didn't write my prayers down, put them in a bottle or toss them into the water. Yet, I think they were carried away on the waves. I believe they were heard and I believe in the Infinite One's willingness to answer them. Expect your prayers to be answered in wondrous ways." This day shall officially go down in history as one of the best days of my life. 1. I finally - FINALLY - have my very own copy of Saying Goodbye in my hot little hands. I can hold it, see my name on the back cover, flip through the pages, find my story on pg. 143, and re-read it to make sure there is not a latent type-o lurking about. I can go to sleep tonight with the book under my pillow and dream of all the books I'll write in my future. I must say, I thought just knowing about it was cool, but seeing it for the first time is, mmmmm, pretty damn sweet! 2. My dad has been kind of clueless about the upcoming publication. Not because I haven't mentioned it, but because he just doesn't always catch on when I get all puffed up about myself. When the book arrived, as I was doing the happy dance, Sweetie was singing "woohoo" and the nurse was saying "congratulations" Dad said a simple and quiet I'm proud of you. But what I heard was 'I AM PROUD OF YOU." Followed by this ... "I'm proud of you because you are so proud of yourself. And I'm happy for you because you are happy." Amongst the thrill of it all I also found myself wondering, like Dorothy must have done when the good witch told she had the way home all the time, is that all I had to do to win Dad's pride - be proud of myself?And maybe what that means is be true to myself. Could it be that simple? Why didn't I know? And why didn't he say so before? But who cares, today it seemed to hit a home run to my heart. I am filled with gratitude. 3. And last but very far from least, my Sweetie not only waited with me by sharing my bed of pins and needles, he was as excited to hold Saying Goodbye in his hands as I was. As I finished up with the hospice nurse, Jack left to run some errands. When he got home he was carrying a huge vase of roses which he presented to me with a congratulations song and a card that dared me to continue dreaming. I just don't think a girl can ask for much more than that from her husband. It was a beautiful day in the neighborhood when that Prince walked into my life and charmed me from my head to my toes. There is something to be said for being in a relationship where two can be as one, in good times and bad. Again, I'm over-flowing with gratitude. The thing about vacations is that they never seem to last long enough. And walking in the back door always feel like you never left. There is something comforting, yet a little disconcerting, in that. Sweetie and I only packed one suitcase but managed to somehow fill the whole back end of the car with stuff that we might or might not need on our short journey to the other side of the state. Well, it would have been short, but we missed a turn off which would have taken us due west. Instead we took a more zig-zaggy route. But since we had nothing but free time to be together and lots of highways to travel, we enjoyed the ride. I think there is a life metaphor in there somewhere, just not sure where! When you travel the back roads of Florida you see lots of scrub pines, signs that advertise the sale of cold beer and worms, rusted out tractors, mobile homes, saw shops, Bar-B-Que shacks (aka "Bubbaque") and place names like Wacahoota and Waccasassa. There are big stretches of pasture land studded with just one or two gigantic, moss covered, oaks. It begs the question which came first? In the pastures that had livestock, the shade of tree seemed to be where the in-crowd hung out. Somewhere near Waldo I felt a loosening between my shoulder blades, my bones were relaxing. We arrived at our destination, The Little House, in Cedar Key in the late afternoon. Our check of the house didn't take long, because it was, in fact, little. Small in size, but large in ambiance. The purple steps and porch seemed to beckon us in as the living room said, "Hi ya''ll! Come on in, take your shoes off, set a spell." The Little House is the kind of place I sometimes dream about running away to for a time of undetermined length. A day, or week, or month? I'm not sure if I could stand being that far away for very long. I think two days was not quite long enough. Unlike other Florida cities and towns, there is not much to do in Cedar Key that doesn't involve fishing. There were other water sports to participate in, but both Sweetie and I decided not to tempt fate by crawling into a kayak, curling our legs up under our bodies and not being able unknot ourselves at the end of the trip. So instead we drove around the island that retired fisherman and productive artists call home looking at ramshackle "fixer-uppers" that sell for a quarter million dollars. Since this was the historic day that the Chilean miners were being rescued, I admit we did spend some time sitting on the edge of our seats in front of CNN brought into the house by satellite. I DID NOT, however, have my computer with me for three days. I thought I might run the risk of Internet withdrawal that could be as bad as alcoholic DT's but it didn't happen. Our second day was spent walking in and out of art co-op galleries, visiting the Chamber of Commerce and driving to the nearest town, Chiefland. The highlight of this jaunt, and perhaps the whole vacation was stopping along side the two-lane highway to take a picture of some cows. "Hello, Cows" I hollered as if they were long lost country cousins. Lo and behold, it was just the right greeting, as up popped a few cows and a couple of donkeys to see what all the commotion was. I've been reading about donkeys on the Bedlam Farm blog so I wasn't the least bit scared about sticking my hand over the fence and scratching their heads. Donkeys are suckers for a good scratch. I can't explain exactly why, but driving with my Sweetie, walking through the tall grass on a coolish but sunshiny day, and talking to animals who seemed to understand what it meant to pose for a picture, was just what the doctor ordered to open up my heart and say thank you. I don't mean this in a bad way, but I didn't think of my father all day. And just like that the trip was over. We took the long way home, but got here in time for dinner. It didn't take long for everything to fall back into place. Dad had fared well under my sister's watch. Speaking of my sister. Having Linda Lu here, even for a very short time, is almost as good as a vacation. I have to take her to the airport this afternoon and I'm already feeling a little sad. I've said it before but it bears repeating - living at opposite ends of the country from some of my favorite people stinks! Sweetie and I are getting ready to go away for a couple of days. "Farewell. God knows when we will meet again." I know all this talk about my story being published is going to get old real quick. So while I can still chalk my excitement up to newness and thrill of it all, I'd like to add something about goodbyes, that I read recently. My friend Dani suggested I read the book, The Four Things That Matter Most, by Ira Byock, MD. While the four things might be aimed at what to say when a person is dying, they are really statements that can make a difference in any relationship. Short and sweet, but depending on your relationship circumstances, not necessarily easy to say. I'm only half-way through the book, but I can already see the value of these statements. "The four things offer essential wisdom for completing a lifelong relationship before a final parting, " says Byock (page 6). "Thankfully, not all goodbyes are final - but goodbyes can be meaningful." This sentence probably jumped out at me because of the nearness of the publication of the Saying Goodbye anthology of which I am a part. But here's the paragraph that hit home for me. "The word good-bye derives from 'God be with you,' a blessing that was traditionally given at parting and, in some churches still is. The protection and God's help of presence and guidance can be requested whether two people expect to be separated a few hours or forever. In leaving nothing unsaid, we can recapture this original meaning, so that in saying goodbye, we are actually blessing one another in our daily interactions as well as when we face major life challenges or crises. It only takes a moment to shift the way you say goodbye from a reflex to a conscious practice. Your good-bye and your blessing can become treasured gifts to other people as you part." What if, I ask even though my Sweetie hates the question, every hello* and every goodbye we say to the people in our lives (be they friends, relatives, cashiers in the grocery store, or people on the bus) were more than a cursory salutation but a heartfelt blessing? Wouldn't our little corner of the world become a nicer place if one blessing led to another, to another? I like the idea but admit that I am not quite brave enough to be the one to invoke the name of a higher power to everyone I meet. We don't live in the most tolerant of times. Perhaps, making that conscious effort Byock talks about is enough - to say hello and goodbye with our hearts, not just our lips. It's something to think about, isn't it? * Coincidently Sweetie was reading Anam Cara by John O'Donohue. "The word hello does not exist in Gaelic. The way that you encounter someone is through blessing." Great minds think alike! The Four Things That Matter Most, A Book About Living, Ira Byock, M.D., Free Press, A division of Simon & Schuster, Inc. New York, NY, 2004. Downer's Grove, IL. 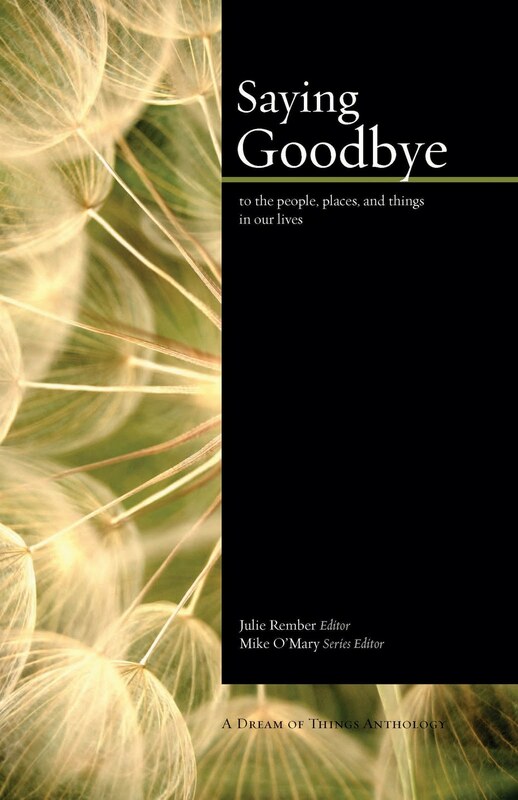 - Saying Goodbye, an anthology of true stories about saying goodbye to the people, places and things in our lives, will be released in book stores on October 11, 2010. The book features "Goodbye Upstairs" by ME of Jacksonville, FL. OMG! It's official! I'm a published author. Well, ME and 30 others from the U.S. Canada, Ireland, United Kingdom, France, Italy, Germany, Australia, New Zealand and elsewhere. OMG! That's some kind of company I'm in. "Saying Goodbye is the first anthology in a new series from book publisher Dream of Things. 'The goal,' said publisher and series editor, Mike O'Mary, 'is to publish books that fill the gap between popular anthologies that are short and sweet, and the Best American Essays series which I love but which are much longer. Dream of Things anthologies will not be short and sweet, but short and deep." Saying Goodbye ($13.95) will be available in trade paperback from Ingram Book Company. You can find it on Amazon.com, Barnes& Noble and all major bookstores. For more information visit www.goodbyebook.com. So there is the official news release. Here's the Merry ME version. It feels right somehow that my first published story is about saying goodbye. Of all the subjects I could write about goodbyes are something I've had a lot of experience with. In my lifetime I've said many a goodbye, au revoir, or adios. Some have been followed by "good riddance and a flurry of four letter words, while others took many boxes of Kleenex and years of therapy to get over. I've said goodbye to friends, doctors, teachers, pets, houses, cars and an ovary that had served me well but I no longer needed. I've kissed a husband and children goodbye more times than I can count, each time more painful than the last. The only saving grace was that each goodbye was followed by a refreshing hello. And I sat with my mother as she drew her last breath and learned what it feels like to say a final farewell. Like melted candy bars in the bottom of your purse, goodbyes are a part of life. That's what makes Saying Goodbye such a good read. The heartfelt stories included in the book are something everyone can relate to. Naturally, my story, Goodbye Upstairs, is about my father and I and one of the many lessons I've learned about living and dying. Many years ago Mrs. Carden filled me with the idea that I could one day be a writer. Over the years other people that mattered tenderly nurtured that dream. However, I lacked the confidence to put my words "out there" for all the world to see. I only shared my stories with people I thought I could trust. Then one day, I stepped out in faith - or folly - and presented "Goodbye Upstairs" to my writing group. Le Chats Noir let me know it was time to make the dream come true. Do you think it's just a coincidence that the publisher that picked up my story is "Dream of Things"? I'm not so sure. I know what I'll be doing tomorrow. I'll be waiting outside Barnes & Noble for the door to open. If I could I'd buy enough books to pass out to each of my faithful blog readers as a way of saying thank you for your friendship, support and encouragement. Alas, my credit card can only stretch so far. I hope, though, that you'll find your way to your favorite bookseller and pick up a copy. Wishing for you something that makes you say, "I did that!" "Juxtaposition" is a word I don't often use. Sometimes I even have trouble pronouncing it. However, it's a perfect choice for the stories of two women - girls really - I learned about this week. For starters, there was this picture that captured my heart on the internet news a few days ago. 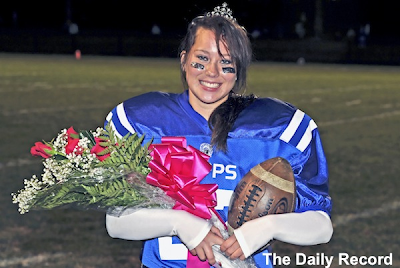 Ohio teen, Jackie Kasburg, of Chippewa High School, not only kicked three extra points in the school's homecoming football game, she also took home the title of homecoming queen. What you can't see in this pictures is that she is wearing pink cleats. Football pads, pink cleats, an arm full of roses and a diamond tiara. That has got to be what the founding members of the feminist movement had in mind. In my opinion, feminism is not just about bra burning, and breaking through glass ceilings. It is about being free to be comfortable enough in your own skin (male or female) to pursue your dreams in whatever venue they appear. I wish I'd had a picture of Ms Kasburg on my bulletin board, school locker, or bathroom mirror when I was her age. I'd like to think her beauty and skill and "just do it" attitude would have encouraged me to shed my chicken little skin for whatever made me feel most like ME. Smart vs. popular? Goody-two shoes vs a little bit wild? Go to college or get married? The problem for me back then was not having an idea how to answer these questions and not being brave enough to explore my options. I was a go with the flow kind of girl, doing what was expected of me without rocking too many boats. I left boat rocking for others. Today I finally watched a movie that has been in my Netflix queue for months. A Walk to Beautiful "tells the stories of five Ethiopian women who suffer from devastating childbirth injuries and embark on a journey to reclaim their lost dignity. Rejected by their husbands and ostracized by their communities, these women are left to spend the rest of their lives in loneliness and shame. They make the choice to take the long and arduous journey to the Addis Ababa Fistula Hospital in search of a cure and a new life." One of the women in the film (talk about being brave), Wubete, was really only a girl. Like others in the rural community of Ethiopia where she lived, she was married off at a tender age when she should have still been playing with dolls, not making babies. In a few short years she was living a life of poverty because of the consequences of unassisted childbirth. These girls are too young and too small to be having babies. Many spend days, not hours, in labor only to have the child die inutero. A common side effect of this kind of labor is something I confess I've never heard of - uterine fistulas - holes between the uterine and bladder or intestinal walls. In other words these tears make the girl incontinent, which makes them smell bad, which leads to being discarded by husbands and family and having to somehow find a way to live. The 30-bed Ethiopian hospital is a place where lives are saved, self-esteem reborn, the ability to be happy renewed. Unfortunately it is a long trek, by bus or foot for many of these women. For some it came down to making this journey or killing themselves. All through the movie, I worried that Wubete, the beautiful girl seen below, was going to choose the latter. After three surgeries, it was decided that her bladder was too badly damaged to repair. Thank the Lord and all his angels that there was something called a "plug" Wubete could insert herself to stop the leaking and begin to live a somewhat normal life. So on one hand you have Jackie - beautiful, strong and brave with a world of options open to her. On the other, there is Wubete, also beautiful, strong and brave, but whose options are woefully limited. Yet each possesses the smile, heart and determination of women beyond their years. Not all women are created equal. Some possess riches other cannot even imagine. Some face obstacles that few will ever know. Yet, each in her own way is a feminist. It is the goddess-given right of women everywhere to have the opportunity to grow into the very best they can be. I say bravo to Kasburg and to all the girls of her generation who reap the rewards of the women who were not content to settle for the male version of status quo. And I say blessed be to women like Wubete who learn to live when surviving seems impossible. For more on marketing, please stay tuned. I heard some things at writing group this week that took a little wind out of my writing sails and spoke directly to one of my biggest questions. Our group facilitator, Carol O'Dell, said the Internet has opened up a new world to a whole host of would-be writers. Not only does a writer have to be extra good, the writing has to be clean and polished to even get noticed. Which, for me, is the same thing as saying, "Hey Merry Me, what makes you think you are any better than all those others? Why should someone publish your stories?" And once those questions start flowing, it's hard for me to stop them. What's new behavior for me is that in the face of all my doubt I've kept on writing. Dare I say believing? Published or not, it's the act of writing that brings me joy and clarity. That said, I'd be lying if I told you I don't have a secret desire to see my name in print. "Getting published," Carol said, "is like crack for writers." I think that means, once you've tasted success you want more of it. Carol also gave us a little rundown of what happens after you write something so great you can't wait to get it published. She knows because a) she's had several stories and a book published, b) she's been doing this for several years and c) she's researched it. Research? Egads! And I thought all I had to do was write! After the writing comes the re-writing. When the writer can't stand to read any of her own sentences any more it's time to find, and pay, an editor. I think, but it's only a guess, that the cost of this editing depends on the length of the piece as well as the reputation/knowledge of the person doing the editing. Carol showed us what she got for her considerable amount of money ... page after page after page of suggested corrections. Corrections that have been paid for so naturally they hold a lot of weight. If I had been handed the stack of papers that Carol held in her hands like a woman cradling her tummy as if in the final stages of pregnancy, I'm sure I would have baptized them with gallons of tears, then tossed the whole lot in the trash. I know the point of the editing is to make a good story even better, but I've never been good at receiving what my father and ex-husband refer to as "corrective" criticism. Once your piece is edited, the job of finding an agent becomes your priority. The agent's job is to sell the story to a publishing house and once that is done to go over your contract to make sure you don't sign away the rights to your children's children along with the story you've just put your heart and soul into. For this, the agent takes a cut of 15% off the top of any monies you might receive. 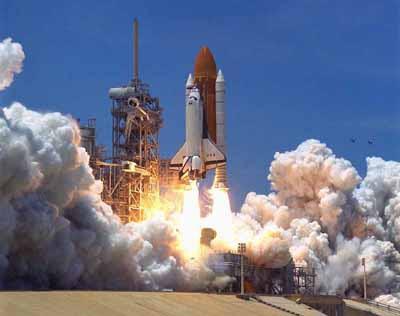 Once a publisher is on board your story goes in two directions at the same time - to the publicist who will market the book, and to another editor who will do the nitty gritty work of turning your ream of typed and re-typed paper into an actual book or electronic manuscript as the case may be. I'm guessing this must be about the time when you, the author, starts to realize the dream is actually coming true. It's time to lose 15 pounds, shop for new clothes, get a sassy new hair style and, for someone like me who hasn't make up in years, learn to apply mascara so that when head shots are taken for the back cover you don't look like an aging raccoon. Having a publicist sounds pretty cool. But Carol explained to us that the author is also pretty involved in marketing the finished product. Book tours that take you all over the country so you can pitch your story on radio and TV spots are not necessarily the norm. Book signings in local book stores, telling your friends to tell their friends, and offering to read a chapter of your book to the people pacing the floor in a surgical waiting room or at a crowded bus station are more likely to get your product purchased. Let's face it the odds of Oprah calling and inviting you on the show are pretty slim. But what is that saying about shoot for the moon and fall in the stars? With Oprah about to retire, she's going to have a lot more reading time on her hands, so why not aim big? The good news in this saga is that if you manage to get through all these sticky wickets there are royalties to be had. Royalties. Just the word conjures up debt-free living or a vacation home where, surrounded by cats, or dogs, or the muse of your choice, more writing can be done. While the idea of being paid to write is like a dream come true, the truth is that royalties are usually only pennies on the dollar. Like a carousel that goes around and around to a grainy organ tune, the way to make money is to do more marketing. More marketing hopefully produces more sales, which means you may get a check which will cover the cost of your next printer cartridge. For those of you who have stayed with me through this post, I'll wrap it all up by saying I am learning writing, like art or music or dance, is not necessarily something one does to get rich. It's more like something one has to do to feel ok deep down in creative soul. It falls in place somewhere behind breathing and eating and sleeping but before buying new shoes. You can live without writing another word, but a spark will be missing. Thanks for listening while I gave myself a little pep talk. Wednesday was my writing group day. This day always begins with an air of expectancy. There is much to enjoy - a few hours away from the house when I don't have to think of anything that has to do with caregiving, feminine energy and humor, the aroma of coffee and sweet breads at Panera's, loving and supportive feedback. Mix them all together and you have the makings of a good day. This week our group was a little smaller than usual. That's bound to happen because it's never easy to gather ten people together on a regular basis. It's a given that life will run interference - doctor's appointments, the flu, work, etc will get in the way of fun. Our group is mostly made up of women. To keep us honest a gifted writer who happens to be of the male persuasion is also a part of the group. Or was until his boss handed him a group of interns to train. Tim has many great stories to write. His memoir is sure to be a good read. I won't be surprised if there is a chapter about the writing circle thrown in among the stories of other out of the ordinary characters. Tim probably isn't going to be able to join us until he gets his interns trained, so I wrote him a note to tell him he is missed and to encourage him not to stop writing. (Sometimes my emails get a little carried away and I write more than just the facts!) Ro which Tim, the psychiatrist, replied, and I quote, "You're a nut". Upon reading that, I threw my head back and laughed. Then I stopped and checked out my own reaction. I saw, with my very own eyes, a woman who can laugh in the face of insightful medical evaluation. Instead of going to bed, crawling under the covers with a box of tissues and a promising never to see the light of day again, I felt, down in my gut - the same place where the icky stuff lives - acceptance of my own nuttiness. Being a nut is not a bad thing. In fact, if being a nut is who I am, then it's really a good thing. In the past, I've had doctors tell me I'm depressed, manipulative, angry. I've had them tell me I'm intelligent (huh? ), worthy (me?) lovable (yeh, right!). And the man I credit with saving my life actually told me I'm a good writer. Thirty years ago I thought he WAS the nut, but I never forgot what he said. Today, I'm not only embracing and enjoying my nuttiness, I'm believing in my ability to write a good story. My story. As my Sweetie would say, "this is a good thing." I wrote Tim back and thanked him for this new insight. Then I started wondering, if I am a nut, what kind of nut am I? Walnut? Hazelnut? Almond? Here's the good doctor's reply: Hazelnuts are exotic I suppose and walnuts are practical and good for your heart, but almonds are associated with holidays and good will towards humanity for me and thus to me you are an almond. Almonds also have calcium which are good for women as they uhhhhhh mature. Since I am by nature, obedient, I'm going to stick with Tim's assessment. I think he's right. Given a choice of all the nuts in the world, I'd probably pick an almond first. If for no other reason than Panera's bear claws warm from the oven are covered in thinly sliced toasted almondy goodness. Food fit for the gods. No doubt the reason I'm drawn to this delectable sweet thing instead of pecan rolls. My journey of self-discovery has been a long one. The road has taken many twists and turns. I've tripped over my own feet and stumbled over stones that turned into golden nuggets. I can't say I've always enjoyed the trip, but I am grateful for the people along the way who have offered a hand and gentle (sometimes not so gentle) encouragement. I know this is not the end of the road by any means, that there is way more to discover. But for today, I'm going to just be a NUT! If you were a nut, what kind would you be? I get a weekly newsletter from motivational speaker and author Jon Gordon. He is all about how positive thinking can change your life. I've never participated in team sports, so I don't really know what locker room pep talks are all about. If I had to guess, though, I'd say Gordon's Monday missives are the stuff of what coaches say to get their teams pumped up and ready to win. Today's message is about how experience can sometimes be a curse. Sometimes being naive or inexperienced can give one the courage to jump in with both feet, when experience might say, "beware of the alligators". My dad has a habit of saying, "it's my habit." Both he and my mother lived their lives by a playbook made up of experiences that worked good enough to become habit. I'm sure there were some things they did over the years that didn't make it into the book, but we will never know what they are. I remember clear as it was yesterday the evening I looked at my unmade bed. The sheets were still in the dryer downstairs. I didn't much feel like getting them. Instead I said a silent prayer asking for forgiveness, then jumped in on top of the mattress pad and covered myself with the bedspread. Like the princess who could not sleep for the pea under the stack of mattresses, my mother would never have been able to rest in such a bed. Truth be told, if my husband had been there I wouldn't have been so daring, but I found I was able to sleep just fine. Being able to bounce a quarter off crisp clean sheets is nice but not mandatory for a good night's sleep. This is probably a dumb example, yet the truth I grasped by that act of bed-making rebellion (at around 35 years of age) was that my mother's experience did not necessarily have to be my experience. I'm not the kind of person that steps out of the lines often, or likes to re-invent the proverbial wheel, but I know what it feels like to vary my actions. Sometimes a little change-up can be beneficial. Conversely I can see how Dad's habits keep his days from getting completely out of hand. As long as he can do things at the same time, in the same way, his life must feel manageable - less out of control. It's got to be hard to realize the things you've always done for yourself, without even thinking about them, are suddenly challenging. Just last night Sweetie and I discussed how Dad appears to be more and more confused. The nurse has suggested that cancer might have moved to his brain messing up some of his long-used mental pathways. And he's taking a fair amount of pain killers, so that's obviously dulling some of his senses. Maybe his 93 year old brain is just getting tired. Balancing a checkbook is both a blessing and a curse. Knowing his bottom line is as good a reason for living as any. But I wonder if his trying to do the math causes more confusion than it's worth. Sweetie says after Dad has passed away we will be free to live our own adventure. I wonder, will I be wild and carefree or will I carry my tried 'n true experiences with me? Will our habits set the pace or will we stop and go with willy nilly abandon? Will we, as Gordon suggests of rookies, "create their good ole days right now"? Will we "live fearlessly and naïve enough to be successful?". In a way it's like cleaning the attic that Pam talked about in her blog over the weekend. In the next part of my life, I don't want to be weighed down with the baggage I've been carrying. At the same time, I don't want to just toss the memories. Like old photographs on the walls at Cracker Barrel. How does one know what to keep and what to toss (or recycle as in the case of restaurant decorating)? I suspect my future, like sitting on a see-saw, is going to be full of learning how to balance the old with the new, experience with adventure, habit with throwing caution to the wind. What works for you? Tried and true experience? Or creating new ways? Wishing for you a day full of balance.